Rainy Day People, Spring is Coming! Let’s do it in style! Home » All lifestyle » Rainy Day People, Spring is Coming! Let’s do it in style! Name one accessory that can be used both when it’s raining and when it’s sunny? Why it’s the bumbershoot of course! Now you are probably thinking you haven’t heard that word in a long time, and you are right. Bumbershoot is an Americanism that was thought up in the early 1800’s and didn’t last long. Umbrella is the word that has been used for centuries and still continues in usage today. Because they were used mainly to keep the sun off the skin, they were not made of waterproof fabrics. Today, that has changed and most parasols are also doubling up as umbrellas. Bumbleshoots and Brollies to suit any lifestyle! – Find something special here. Umbrellas especially in countries that have lots of “rain days” must cater to those people who need their umbrellas to keep them dry. In our climate, umbrellas can be more of a fashion statement or be totally utilitarian (depending on the person who owns it). Now for sake of ease in writing I will call all of these gizmos Umbrellas, because that is what I have known them to be called for most of my life. If you prefer other terms please feel free to insert your favourite term when you see the word Umbrella. Most umbrellas are made in much the same manner. There is a handle in the center that has “ribs” attached at one end. These ribs are what the fabric cover is attached to, usually in a circular pattern. At the ends of each rib is a protective tip. Each rib is also attached to a stretcher bar that is centered on the rib at one end and attached to the middle slider that moves up and down on the handle. At the top of the long handle is a cap and a tip at the end. Most often at about the 3.4 mark of the handle there is a spring lever that holds the umbrella in the open position. At the 1/4 mark of the handle is another spring clip that will keep the umbrella in the closed position. Now how many ribs on the umbrella will usually be an indication of how sturdy that umbrella will be. The more ribs, the sturdier, longer lasting and more expensive the umbrella will be. In recent years we have seen a new amendment to the humble umbrella and that is the venting type of umbrella. This helps in windy areas, because I’m sure that everyone has experienced an umbrella full of wind, pushing the fabric shade upside down, or inside out! I can remember a day travelling in Israel, when a fierce rain started along with the wind. My tour group laughingly were counting “dead” umbrellas in the streets. Umbrellas come in lots of sizes. Depending on your use for them, you can have big, bigger and the biggest. If your umbrella is for personal use in the rain, there are varying sizes available. The average size of the shade is about 24 to 36 inches. If it’s an umbrella for two they go up to sizes from 48 to 60 inches wide. If it’s an umbrella used to keep the sun off visitors to your backyard party, then you will find umbrellas with diameters of 6 ft as the smallest right up to 10 ft and wider for custom made installations. Anything bigger than this is more like a canopy and that can be sized according to whatever supports are there to hold the canopy in place. But this is not an umbrella. 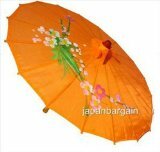 Depending on your use for the umbrella you can also have plain and fancy. 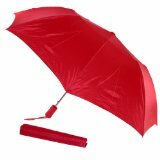 Many women like to carry umbrellas that are a little more colourful than your everyday black. Here to the choices are endless. There are more than 33 million umbrellas sold in the US every year. Umbrellas are a good business and I personally don’t know a household that has only one! Fashion has had a love and hate relationship with umbrellas. Sometimes they are a fashion statement and other times they are just for use during rainy days. Spring weddings quite often will use umbrellas as part of the wedding attire, as the weather may just prove them to be necessary. For these occasions, you can get special umbrellas in the shape of hearts in a multitude of colours to match or contrast with your wedding colours. It is all up to you. Umbrellas are one of the nicest gifts to give and receive, always useful! There is nothing worse than having your picnic or backyard BBQ dampened by rain. Under this umbrella you can still sit and enjoy the sounds of water, while staying dry. Lovely in color and useful as a decorative item, is umbrella is sure to be a topic of conversation..
Umbrellas can also be used as an image of life floating by, the winds lifting you higher, parachutes of life or a host of other images. Let your imagination soar….. Even Mary Poppins had a use for Bumbershoots! Even Mary Poppins found an alternative use for the humble umbrella, using it as a means to “fly”, and who on a really rainy windy day hasn’t felt like Mary Poppins. But other uses for umbrellas are in photography as well. 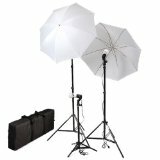 The photographers umbrella helps to “bounce” light from flashes and other lighting sources onto the item being photographed. This makes the images in the picture look more realistic, without the harsh shadows and glare that comes with a direct flash on the subject. Most famous Umbrella use in Movies and Photography – Who can forget Mary Poppins? Or do you need some bouncing light for your movies? Classic Disney Movie that is fun for all ages. When was the last time you saw it? Maybe it’s time again. For serious photographers interested in the best lighting for portraits and group photos, never let the shadows undermine your perfect picture. Silliness knows no bounds, enjoy the reactions.